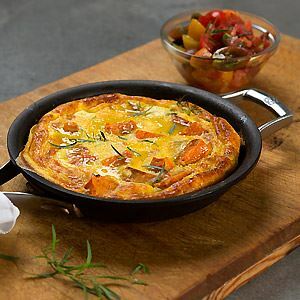 "There is something really delicious about cooking meat in milk. The Italians love to use this technique with pork but here I wrap boned and stuffed quail in prosciutto and cook them in the oven in a nice warm milk bath. 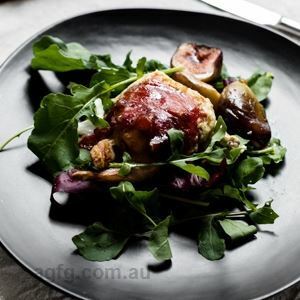 The quail are served simply on a bed of rocket with a luscious roasted fig alongside." ~ Annie Smithers. 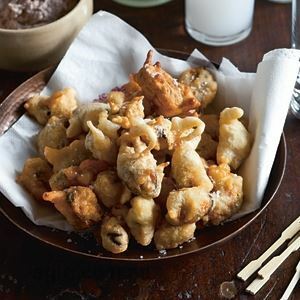 Put the ciabatta cubes, Roquefort and sage in a bowl and mush it up with your hands to combine. Lay all the birds on the bench, skin side down, and divide the stuffing evenly among them. Re-form the birds and then wrap each one in a slice of prosciutto. Place in a baking dish that is large enough to hold the birds snugly in a single layer, then pour enough milk into the dish to come halfway up the side of the birds. Place in the oven and roast for 10–15 minutes or until the birds are cooked – check by squeezing the leg meat to see if it’s cooked through. The meat should push away easily from the bone. The tips should have a nice crispness and colour from the prosciutto. Once you’ve put the quail in the oven, cut the figs in half and place on a baking tray. Drizzle with a little olive oil and roast for about 7 minutes. For each plate, lift the quail from the dish and place on a bed of greens. Prop half a roasted fig on each side, season to taste and serve. 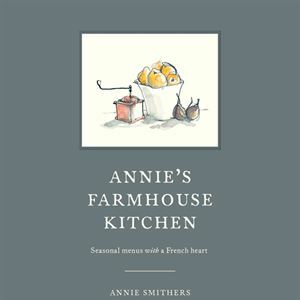 Credits: This is an edited extract from Annie’s Farmhouse Kitchen by Annie Smithers with illustrations by Robin Cowcher published by Hardie Grant Books RRP $40 and is available in stores nationally. 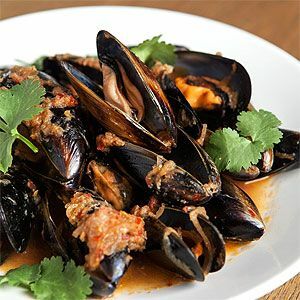 Photo Credits: Food Photographer for Geelong Advertiser: © Tara Pearce. Note: Image of recipe not from the book.